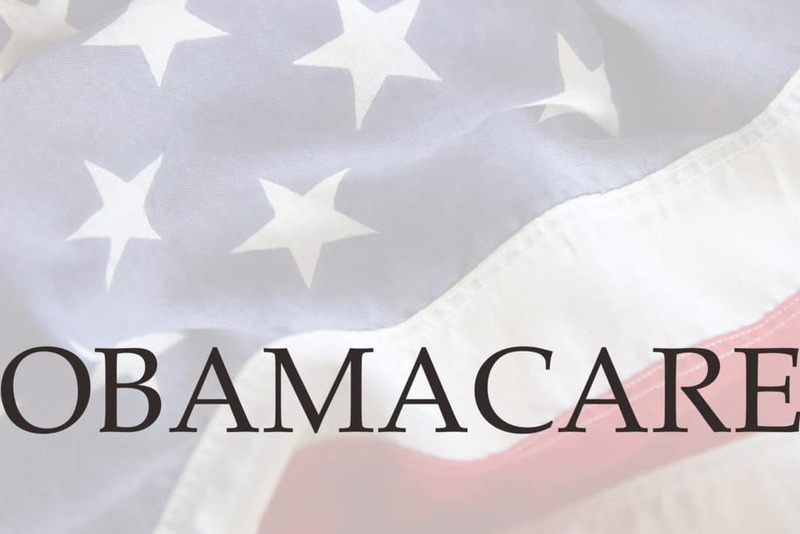 The Patient Protection and Affordable Care Act of 2010, otherwise known as “Obamacare,” is destined to be one of the most controversial legislative acts of the 21st century. It is both a symbol of compassion and good intentions, as well as a monument to the complexity of a modern society with conflicting goals and philosophies. Supporters claim that it can lead to affordable healthcare for all Americans for the first time in the nation’s history, while detractors believe it may destroy the national healthcare system and bankrupt the country. What is the truth? American presidents and congresses have wrestled with the paradox that is our healthcare system since the end of World War II. As a result of World War II wage controls, the system has evolved into one of the country’s largest industries, employing almost 17 million workers in more than 784,000 healthcare companies, including over 6,500 hospitals, according to the Bureau of Labor Statistics. By 2020, healthcare costs will consume 20% of the nation’s GDP. By the turn of the century, business leaders, politicians, and citizens recognized that the existing healthcare system was not sustainable and, if left unchecked, would ultimately bankrupt the country. Its high costs reduce American competitiveness in world markets, limit wage and salary increases to workers, and force many to forgo health insurance altogether. Everyone agreed that the system was broken – but how best to fix it? Many of the Democratic left favored a wholesale remodeling of the system around a single-payer concept, possibly modeled after the Canadian system. Noting that the United States is the only industrialized country in the world where healthcare is not provided through a universal plan administered by the government, they advocated a program like Medicare for everyone, not just for those aged 65 and up. Conservative Republicans argued that the system could be fixed by a combination of reforms, including competition among health insurers and pharmaceutical companies, establishing clear standards of care, and extending tort reform to medical liability. They also believed that tweaking laws to eliminate discrimination against preexisting conditions and improving portability so that workers could move from one employer to another without losing health insurance would help. Recognizing that a transition to a government-run, universal healthcare system was not politically possible, President Obama adopted a plan based upon an “individual mandate,” requiring all Americans to buy health insurance, hoping for bipartisan support. The individual mandate concept had initially been developed by the conservative think tank Heritage Foundation and supported by conservative groups and individuals ranging from the American Enterprise Association, to Newt Gingrich and Bob Dole. A version of a universal health plan with an individual mandate was even passed in Massachusetts under the leadership of Governor Mitt Romney. Ironically, Republicans who had previously supported the individual mandate vociferously opposed it as proposed by the president, while Democrats who had opposed an individual mandate initially – including then-Senator Barack Obama – now supported it. Senator Ron Wyden, an Oregon Democrat who had cosponsored a 2007 Senate healthcare bill with Utah Republican Senator Bill Bennett, was shocked at each party’s reversal of position: “I would characterize the Washington, D.C. relationship with the individual mandate as truly schizophrenic,” he said. Shortly after President Obama’s election, healthcare reform negotiations began in both houses of Congress. Public committee meetings and frequent press conferences were held in an attempt for both parties to influence the public as to the emerging legislation. The final legislation, a complex conglomeration of necessary compromise and ambiguity, was passed in the Senate on December 24, 2009, with 60 Democrats in favor and 39 Republicans against the bill (one Republican did not vote). The House of Representatives subsequently passed the 1,990-page Senate version of the bill on March 21, 2010, with 219 Democrats in support and 34 Democrats and all 178 Republicans against the legislation. President Obama signed the bill into law on March 23, 2010. The day the ACA passed, the state of Florida, joined by 25 other states, filed a lawsuit in federal district court challenging its constitutionality, specifically the individual mandate and the Medicaid expansion. The National Federation of Independent Businesses, a conservative lobbying group, as well as some individual plaintiffs, also filed suit in Florida questioning the act’s constitutionality. A third lawsuit, the U.S. Department of Health & Human Services v. Florida, was also filed supporting a case for constitutionality. However, on June 28, 2012, all litigation was settled when the Supreme Court ruled in a split opinion that the ACA is in fact constitutional. As might have been expected, the ruling was extremely controversial and did little to reconcile the different stances on the new healthcare law. Republicans gained control of the House of Representatives in the 2010 midterm elections, which, according to a study by professors J.L. Carson of the University of Georgia and Stephen Pettigrew of Harvard University, produced one of the most polarized Congresses in history and more partisan deadlock. As a consequence, the 112th Congress passed only 220 laws, by far the fewest of any Congress on record. Its lack of agreement almost led to the fiscal cliff and a breach of the debt ceiling, both potential disasters. Between January 19, 2011 and January 16, 2014, House Republicans voted 48 times to repeal or dismantle the ACA. By contrast, the implementation of Medicare Part D – sponsored by Republicans under George W. Bush – faced many of the same problems from Democrats, but despite their opposition to the bill they supported its intended outcome. Despite two years of preparation, the intended roll-out of the website for the new insurance exchanges was deeply flawed. The deadline for employers with 50 to 99 employees to provide health insurance was delayed from 2015 to 2016, while the requirement of larger employers to cover 95% of their employees was reduced to 70%. The new minimum requirements for coverage resulted in some insurers withdrawing policies from the market and raising premiums significantly over what had been expected. Unexpectedly, only 17 states have elected to establish or run their own insurance exchanges, and many of them have encountered their own implementation problems, forcing the Federal Government to step in, even though it lacks the necessary resources. Regulations have been delayed and filled with errors. According to conservative policy institute American Action Forum, as of November 13, 2013 the administration had issued 104 final rules and 254 subsequent corrections to the same rules. 21 states, all with Republican governors, have declined to accept ACA funds to expand Medicaid funding in their states, leaving millions of low-income residents without health insurance. The country remains divided over the ACA: According to Pew Research, about one-half disapprove of the law and claim that it has fundamental problems, while the other half approves of it and believes any problems will be short-term. A 2014 Rasmussen Report stated that 37% of those opposed favor a universal health, single-payer system which the legislation did not provide. According to a 2014 Kaiser Poll, more than half the public overall – including 3 in 10 of those who view the ACA unfavorably – say opponents should accept that it is the law of the land and work to improve it, while fewer than 4 in 10 want to keep up the fight to repeal it. While there is plenty of room for debate, there are indications that some parties have benefited from the ACA as it currently exists. As citizens, each of us benefits from the fact that the healthcare “problem” is not being kicked down the road to the next generation. Both the public and the legislature are aware that healthcare costs must be lowered and that there is no perfect solution. On the one hand, our traditional employer-provided, insurance-based system is too expensive, discriminatory, and leaves too many citizens without protection. On the other, the nation may not be able to afford a universal healthcare system that provides unlimited care to all, complete with the bureaucratic complexity that accompanies government programs. The ACA was a compromise between a government program and an unfettered free enterprise system where services naturally flow to those who can afford them. Undoubtedly, the act will be amended as time goes by, discarding and replacing rules which are overly expensive or ineffective. In addition, consumers are more aware of the need to monitor their own healthcare costs, use healthcare savings accounts, and shop prices. Finally, it should also be noted that according to The Wall Street Journal, the prices for medical care rose just 1% in 2013, well below annual inflation, and the slowest annual rate of increase since the 1960s. Poor, Uninsured People With Preexisting Conditions. The Congressional Budget Office projected in February 2014 that an additional 25 million people will be covered by 2021 in insurance exchanges or through expansion of Medicaid and the Children’s Health Insurance Program (CHIP). The numbers do not reflect those expected to retain insurance by the law’s prohibition of discriminating against preexisting conditions. Health Insurers. Health insurers effectively fended off the risk of universal, government-run healthcare, and gained exposure to millions of more customers. While the medical cost ratio was raised to 80%, their profits are unlikely to be significantly affected. Big Businesses. Large companies have increasingly shifted higher proportions of healthcare costs to their employees through raised premiums, copays, and deductibles – a practice which resulted in personnel and morale problems. However, many employers now justify these moves as a consequence of the ACA, making Obamacare the bogeyman. It is possible, if not likely, for employers to withdraw from private insurance arrangements in the future, transferring insurance costs and administration to the new exchanges. This move would finally sever the long-term relationship between employment and insurance. Small Businesses. Employers with fewer than 49 employees are not required by the law to provide health insurance. However, the availability of liberal tax credits for those that qualify and provide insurance can allow them to provide a needed benefit to their workers at a low cost. Already-Insured Employees. While an estimated three-fourths of employees have yet to see a change in their insurance coverage, there is likely to be more cost-shifting by employers, higher premiums to satisfy minimum requirements, and tax penalties for “Cadillac” plans. In short, individuals are likely to pay a higher price, at least in the near future, for healthcare than in the past. Self-Employed and Lower Income Workers. Despite the law’s tax credits, the cost of health insurance remains unaffordable for many citizens. While the imposition of a financial penalty may increase participation, it is likely to be at the expense of other necessities. Young People. Younger people are less likely to incur significant medical costs than older people. Historically, this has been why many young Americans have gone without health coverage in the past. However, the ACA has an individual mandate that requires coverage or imposes a significant tax. In addition, insurers are likely to return to a community rating system for determining premiums, placing young and old into the same actuarial pool. As a consequence, younger people will pay higher premiums, the excess being used to reduce the cost of the older members of the pool. Health Providers. The imposition of an outcomes-based medical reimbursement system, replacing the traditional “fee for services,” volume-based payment model, will force hospitals, physicians, and other healthcare providers to be more efficient and effective in delivering care. This drive for efficiency should force mergers, as providers seek to gain scale and greater investment in technology – especially information systems and robotics to replace high-cost human-delivered services. At the same time, smaller competitors such as pharmacy chains may establish clinics and health centers with physician assistants and nurses to capture noncritical – but essential – medical treatment and care. Medical Device Manufacturers. While political sentiment suggests that the 2.3% medical device excise tax established by the ACA may be repealed, the conclusion is not certain. Over the longer term, however, medical device manufacturers should increasingly benefit as innovative technology replaces human labor. It is impossible to tell at this time how President Obama, either political party, or the U.S. taxpayer will fare as a result of the ACA. Significant change is at least five years in the future. President Obama. If the ACA remains in effect, even with amendments, President Obama’s legacy as the first chief executive since Lyndon Johnson to pass major healthcare legislation will be secure. On the other hand, a repeal of the act, a lack of significant legislation elsewhere, or his seeming inability to resolve excessive partisanship may tarnish his legacy, despite his personal popularity. Taxpayers. Sponsors of the ACA have consistently predicted the probability of higher short-term costs as those previously uninsured seek care. Expecting that the major drivers of healthcare costs should slowly recede as time goes by, the ratio of costs to GDP should ultimately come closer to that of other industrialized nations, removing an anchor on our economic growth. If they are right, taxpayers, now and in the future, should benefit. However, if healthcare costs continue to escalate faster than inflation, there will be a reckoning where personal taxes increase and government programs drastically shrink. The Patient Protection and Affordable Care Act could be viewed as one of the most dramatic changes in the provision of healthcare, a clear statement of government’s role and responsibility to its citizens. On the other hand, it could be considered one of the biggest political overreaches in U.S. history. But despite political differences, one thing is clear – the country must come together to fix our healthcare system now, or we all lose. What is your opinion of the ACA?